This is the purple-gilled Laccaria (Laccaria ochropurpurea), an edible mushroom usually found among oak trees. 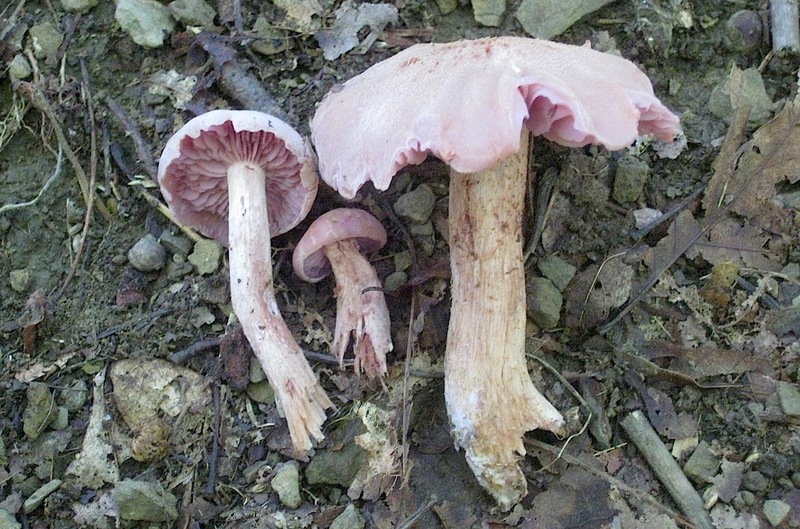 These mushrooms may resemble several species of Cortinarius, though the latter produce a rusty brown spore print, and the purple-gilled Laccaria produces a white spore print. Saute it with some butter or olive oil, throw in some veggies and spices, and enjoy the wildness of your meal!